Mirena is a hormonal intrauterine device (IUD) that is inserted into the uterus for long-term birth control. It works by thickening the cervical mucus to prevent sperm from fertilizing the egg and at the same time thins the lining of the uterus while partially suppressing ovulation. Approved by the FDA, it is a T-shaped plastic frame that releases a type of progestin. Mirena can prevent pregnancy for up to five years after insertion. 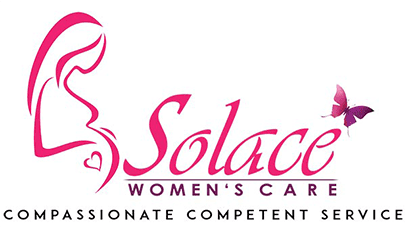 Family planning is not one-size-fits-all and if you feel that Mirena is the right decision for you, call Solace Women's Care to schedule an appointment to discuss options for contraception or for more information about our gynecology services. You can use Mirena for up to five years to prevent pregnancy. Mirena, a hormone-releasing system placed in the uterus is approved by the FDA and also used to treat heavy periods. Mirena is recommended for women who have already had a child, but Mirena is not recommended if you get infections easily. Mirena does not protect against HIV or STDs so other protection may be needed for these issues when using this contraception. Effective contraception for a prolonged period of time known as long-acting reversible contraceptives (LARC) are methods of birth control that works without requiring user action. These include IUDs, sub dermal implants, and injections. They are the most effective reversible methods of birth control because they require no action from the user. Failure rates are less than 1% per year. They are very cost effective and well liked by users. Contact us today to schedule a consultation about LARCs and if they are right for you. Over the lifetime of the device, it is possible to save thousands of dollars and have a more reliable method to avoid unwanted pregnancies.